From hand strippers to fully automated wire processing equipment Lakes Precision, Inc. has the tooling to meet your requirements. They offer the widest range of blade sizes providing the perfect blade to wire application. 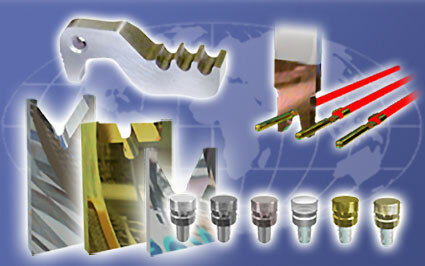 They offer over 20,000 parts and accessories to meet any potential wire processing requirement. This extensive inventory encompasses tooling for all major brands. Lakes Precision's dedicated and highly trained staff insures our customers receive the highest quality wire processing tooling available today. Their extensive inventory allows same day shipment on the most commonly used perishable tooling and accessories. Lakes Precision offers sub-contract manufacturing. Using state of the art creep-feed grinding and CNC/DNC manufacturing techniques allows complete part manufacturing. Learn more about Lakes Precision and all they have to offer in their updated catalog. Want to hear more about Lakes Precision and their products? Let's Chat.